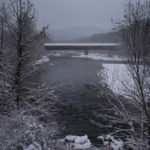 Each month a draw two random Day in Vermont subscribers to win a free free print of their choice. Congratulations to our winners for January! 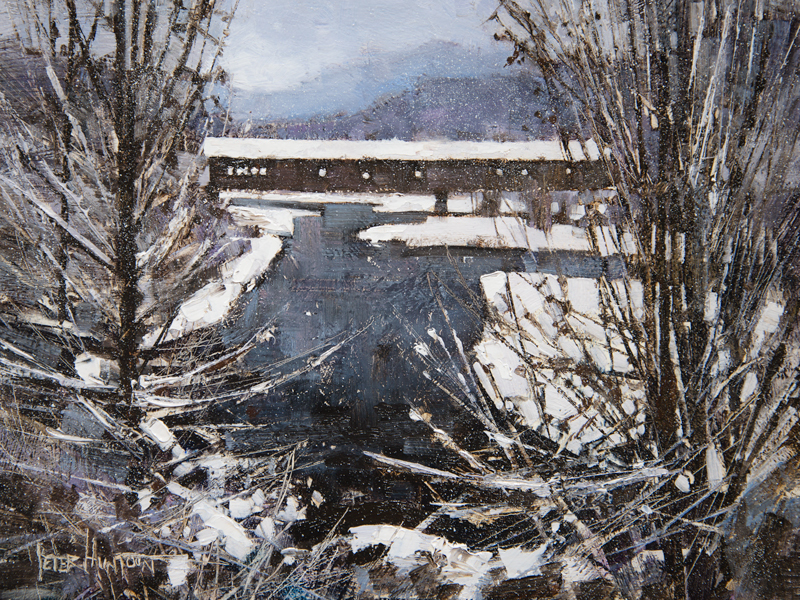 So odd that while online looking up covered bridges in winter settings for a current painting, your Dummerston Bridge posting appears. Thanks for another winter study! Love it! I love it too! You certainly did capture the mood that day. Thanks! This brings back such fond memories of going to Green Mtn Camp. My grandfather would drive very slowly across this bridge while my cousins and I would be holding our breath as we crossed the bridge. I love the way you incorporated the winter haze. You can feel the air in the painting. Me again. I forgot to comment on the length of your statement, (less is more /nuff said). Economy of color and words. I now wonder how many things I miss regarding your many layers. Brings to mind, “I sit and think, of what I think to be creative thought, as well as what I would have took for granted had I not”. Nice! Yes Chris, occasionally, on my better days there may be an extra layer or two woven into the work or the words that can be fun, for both of us. Thanks Cynthia, I first considered a front facing view of the bridge, but then I saw this option and that was that! This is fabulous…love it at so many levels! To coin a phrase – “The best part of waking up is”… finding mail from you and on a Monday even !! I look forward to Mondays and emails now Peter, thank you for your beautiful gift and memories that brighten my day !! Thanks for the nice testimonial Esther! Another gorgeous picture! Peter you just keep popping them out! Thank you so much. Keep them coming, please. Line, shapes, and contrasts in tone are the stars in a limited palette painting, and this painting uses them all to advantage in capturing the mood and creating interest. Like always you’re saying what’s to say. Thank you for all your wonderful art work. All your pictures open my eyes to the beatiful state we are fortunate to live in. Thank you again and have a nice day. Makes me very happy to hear that Sharon, thank you! I guess you could say that is my personal mission. 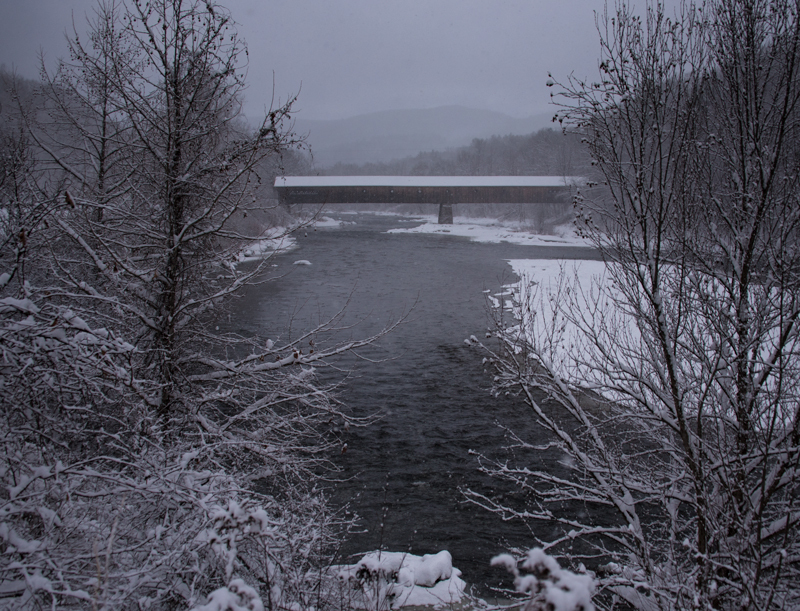 Hi Peter, do know how many covered bridges still exist in Vermont? They are really rare in our country.